From June 23 to 26, 2019, at the National Library of Latvia will be held the Second Baltic Summer School of Digital Humanities: Essentials of Coding and Encoding. The Baltic Summer School of Digital Humanities is an international, intensive continuing-education programme giving researchers, teachers and students in the humanities and social sciences, as well as archival, library and museum professionals the opportunity to acquire a variety of digital research skills – from the skills required to work with digital data to research-result visualisation skills. This year's programme focuses on the basics of programming for researchers in the humanities and social sciences and the encoding or labelling of texts. The programme includes four practical workshops and five public lectures. Workshops will provide the basics of the Python programming language, text encoding and topic modelling skills, as well as the visualisation of networks on the Palladio platform developed by Stanford University. The public lecture programme will help students learn how neural machine translation works, what the difference is between reading analogue and digital media, the opportunities offered by the world’s most modern digital newspaper libraries and other current digital-research news. Lectures and workshops will be run by ten lecturers from seven countries (Latvia, Estonia, Lithuania, Finland, Germany, Belgium, Bosnia and Herzegovina). The Baltic Summer School of Digital Humanities is organised through partnership between the NLL, the University of Latvia Institute of Literature, Folklore and Art and the University of Latvia. The programme is supported by the State Culture Capital Foundation and CLARIN, the Common Language Resources and Technology Infrastructure. FACEBOOK GROUP FOR NEWS AND UPDATES! All news and updates on conferences, events, and other information about global and local Digital Humanities are published on digitalhumanities.lv Facebook Group's feed. You are welcome to join! The Baltic Summer School of Digital Humanities invites to attend public lectures that will take place from July 17 to July 20 in Riga, the National Library of Latvia. The very first Baltic Summer School of Digital Humanities will take place in Riga, July 17-20, 2018. It will focus on text mining, mapping and visualization methods. The summer school is organized by the National Library of Latvia, Institute of Literature, Folklore and Art (UL), as well as by the University of Latvia ( Faculty of Social Sciences, Faculty of Humanities). Stuart Dunn, senior lecturer in Digital Humanities, King’s College London, will give a keynote speech on translating and teaching spatial literacy across cultures at the conference "Meaning in Translation: Illusion of Precision" organized by the Riga Technical University. Where: Riga Technical University, Kronvalda boulevard 1, Auditorium 200. When: May 18, 10 a.m.
NLP research group, Institute of Computer Science (University of Tartu) invites for the submission of proposals for the 8th International Conference "Human Language Technologies - the Baltic Perspective" (hlt2018.ut.ee), which will take place in Tartu, Estonia on September 27-29, 2018. Its deepest and darkest desire is to promote collaboration and exchange of ideas between researchers, developers, students and users of human language processing technologies. The main topic of interest is the state of human language technologies for the languages spoken in the Baltic states. European Association for Digital Humanities (EADH) will hold its first congress December 6–8, 2018 in Galway, Ireland. The EADH2018 programme committee is looking to etablish a multilingual reviewer pool and has prepared the Call for Reviewers (download pdf). Please consider applying as reviewer for the EADH2018 congress – you can add the languages you are comfortable reviewing in and thus extent the multilingual reach of Digital Humanities in Europe! A Call for Papers will be released soon. Registration for DARIAH’s Annual Event, which will take place in Paris, 22-24 May 2018, is now open. 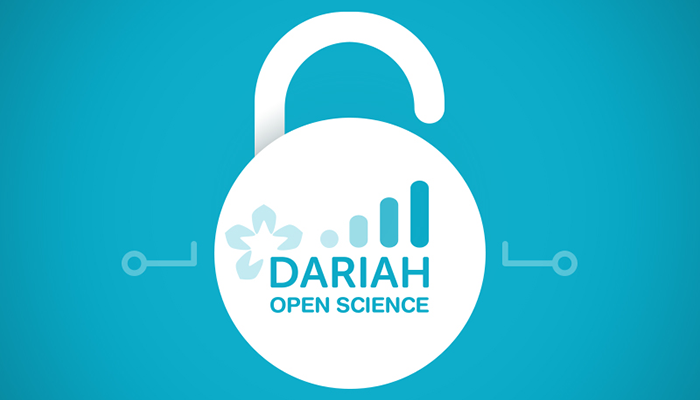 Please register until 23 May 2018 at https://dariah2018.sciencesconf.org/registration. The Annual Event is open beyond the DARIAH community. It features a series of engaging keynote lectures and interactive sessions, which bring together researchers, technologists, data scientists and cultural heritage professionals. Additionally it enables colleagues to work together face-to-face on their DARIAH activities, e.g. in Working Group meetings. The 3rd conference of the association of Digital Humanities in the Nordic Countries (DHN) will be held at the University of Helsinki March 7–9, 2018. The conference is organised by HELDIG – the Helsinki Centre for Digital Humanities at the University of Helsinki, the Faculty of Arts. The overarching theme this year is Open Science. This pragmatic concept emphasises the role of transparent and reproducible research practices, open dissemination of results, and new forms of collaboration, all greatly facilitated by digitalisation. All proposals are invited to reflect on the benefits, challenges, and prospects of open science for their own research. 2nd workshop organized by digitalhumanities.lv will take place on February 1. The staff of the Artificial Intelligence Laboratory affiliated by the Institute of Mathematics and Computer Sciences, University of Latvia will present their research directions and introduce tools and resources useful for digital humanities research, including different corpora and tools for language processing. The 3rd conference of the association of Digital Humanities in the Nordic Countries (DHN) will be held at the University of Helsinki March 7–9, 2018. The conference is organised by HELDIG – the Helsinki Centre for Digital Humanities at the University of Helsinki, the Faculty of Arts. In 2018, the conference seeks to extend the scope of digital humanities research covered, both into new areas, as well as beyond the Nordic and Baltic countries. This year, the conference welcomes in particular work related to the following themes: History, Cultural Heritage, Games, and Future. The overarching theme this year is Open Science. This pragmatic concept emphasises the role of transparent and reproducible research practices, open dissemination of results, and new forms of collaboration, all greatly facilitated by digitalisation. All proposals are invited to reflect on the benefits, challenges, and prospects of open science for their own research. Please see the full CFP for more information. The Lexical Data Master Class aims at bringing together 20 trainees together with experts to share experiences, methods and techniques for the creation, management and use of digital lexical data. Co-organized by DARIAH, the Berlin Brandenburg Academy of Sciences (BBAW), Inria (Paris, France) and the Belgrade Center for Digital Humanities, with the support of the German Ministry of Education and Research (BMBF), Clarin and DARIAH-DE, the Lexical Data Master Class will take place in Berlin at the BBAW from 4 to 8 December 2017. "researchers to share their experience on how digital practices, tools and methods have contributed to their research. What’s the contribution of computational power to humanities research, and how has it changed the way we look at and analyze our source materials? Has it opened up new methodological approaches, changed our research questions? And what are researchers’ solutions for handling digital culture, often multimedial, happening in real time, with various legal restrictions: how it can be tamed and transformed into research data?" Digital Humanities in the Nordic Countries calls for submissions for its 2018 conference in Helsinki, Finland, 7–9 March 2018. Publication ready texts of length appropriate to the topic. Accepted papers will be submitted to the CEUR-WS proceedings series for publication in a citable form. Layout for the papers is not absolutely mandated, but we suggest you use the Springer LNCS templates to ensure a uniform look for the proceedings. The conference "Open licences, open content, open data: tools for developing digital humanities" will take place in November 1–3, 2017, at the Estonian National Museum in Tartu. 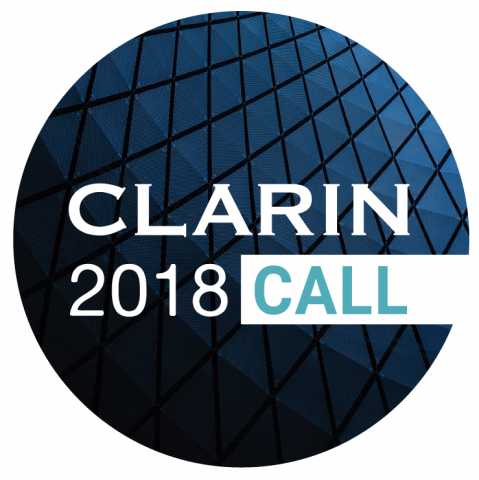 Call for proposals is open by September 30. Digital Humanities – Future of the Literary Science? Guest lecture „Digital Humanities – Future of the Literary Science?” will be given by Prof. Dr. Jochen Strobel, dedicated to the European Day of Languages. The event will take place in German and Latvian.